Can emails I send to my contacts appear on their record page? Yes. Wealthbox generates a unique email address that you can use to forward emails to your contact’s record. 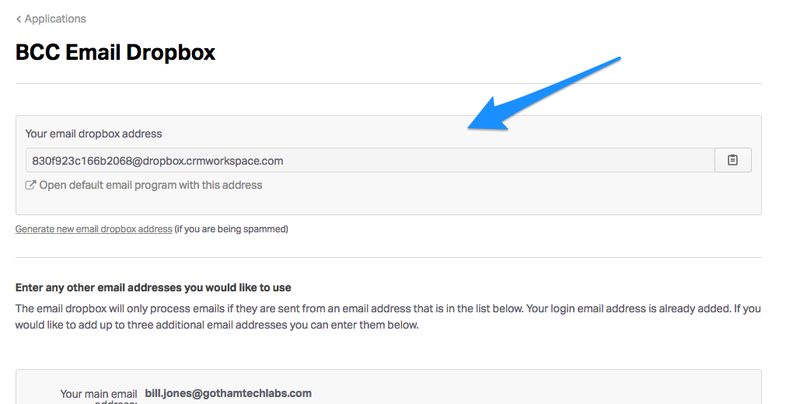 At the bottom of the page, enter the email address you are using if different than the email address associated to your Wealthbox account. When contacting a client via email make sure to BCC this unique address to ensure these emails go directly onto their contact record.